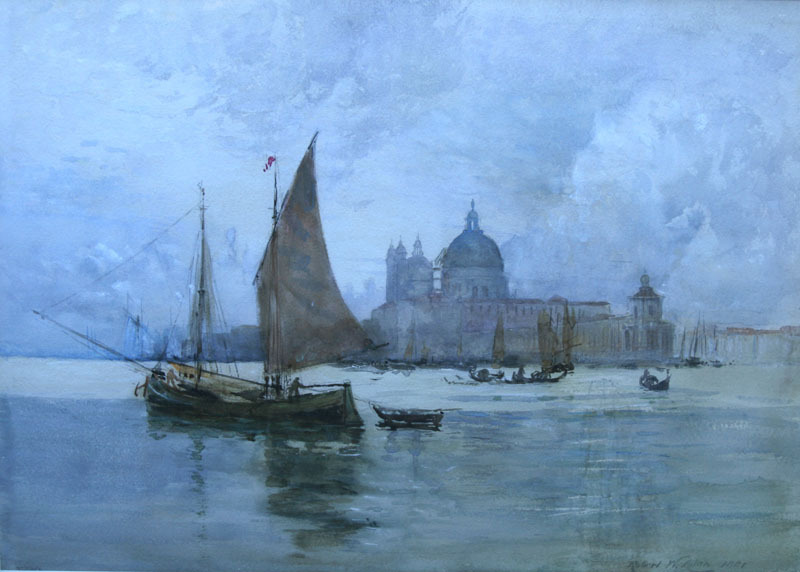 An original watercolour dated 1881 of Venice from the lagoon with boats and the Doges Palace in the distance. Painted by Robert Weir Allan who was a well travelled Scottish artist and is well known for his watercolour and oil paintings of landscapes and seascapes. This is a lovely example of a late 19th century Scottish Impressionistic watercolour and a good example of his work. Signed right Robert W Allan and dated 1881. Scottish private collection. John Gibson Glasgow Gallery. 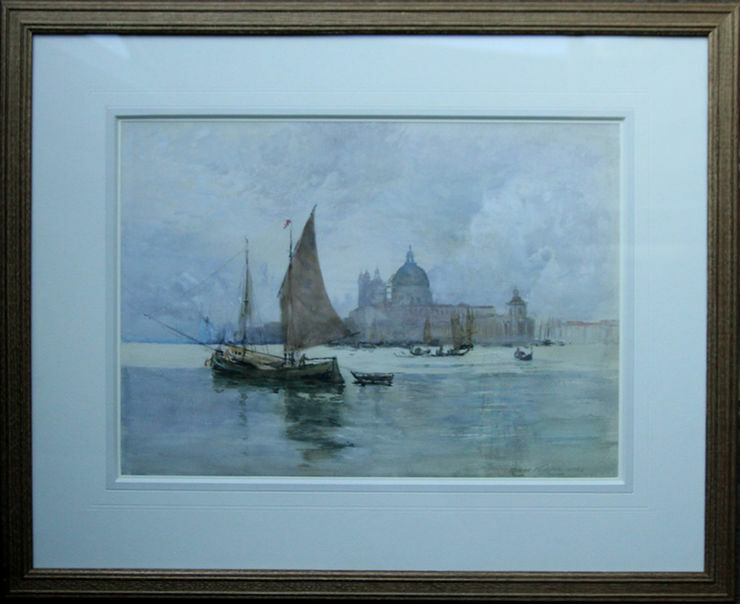 Framed 20 inches by 14 inches..
Robert Weir Allan (1852-1942). Allan was born in Glasgow. He was a landscape and marine artist, painting in both oils and watercolours. He was also an etcher. He studied under Julians in Paris. Allan toured India from 1891 to 1892 and toured Japan in 1907. He also sketched frequently on the continent. Robert Weir Allan was commissioned to paint a portrait of Lloyd George in 1934.